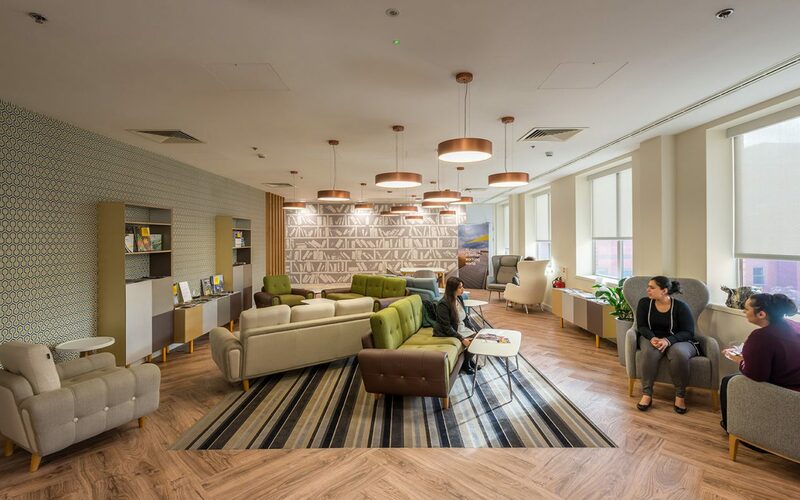 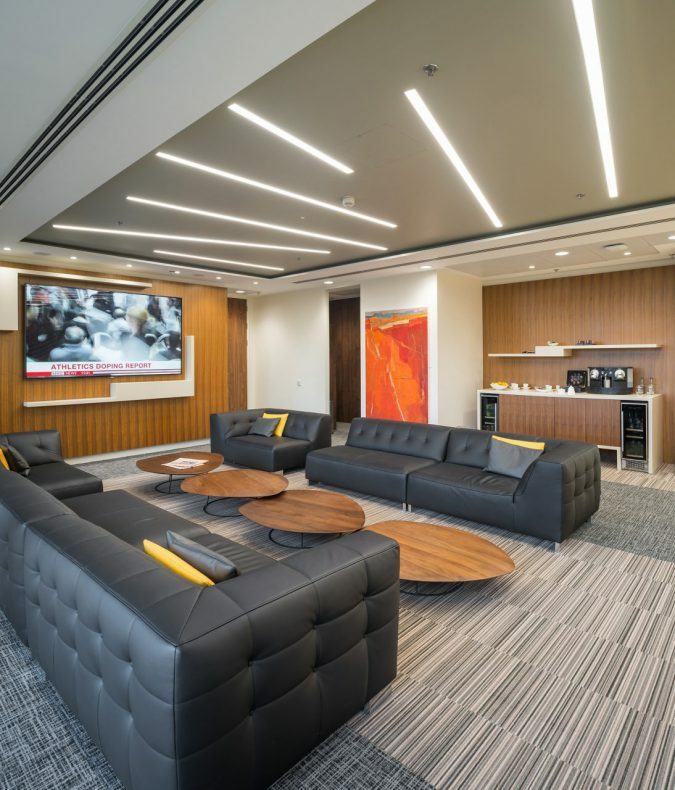 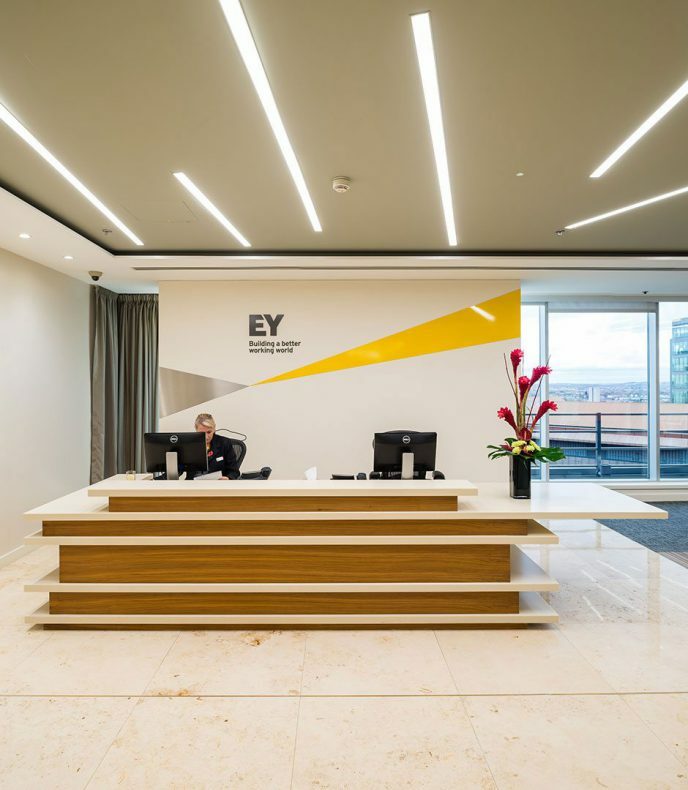 Continuing our series of projects for EY, in Birmingham we have totally updated and transformed 58,000 sqft across three floors, allowing EY to consolidate staff from Nottingham and Birmingham. 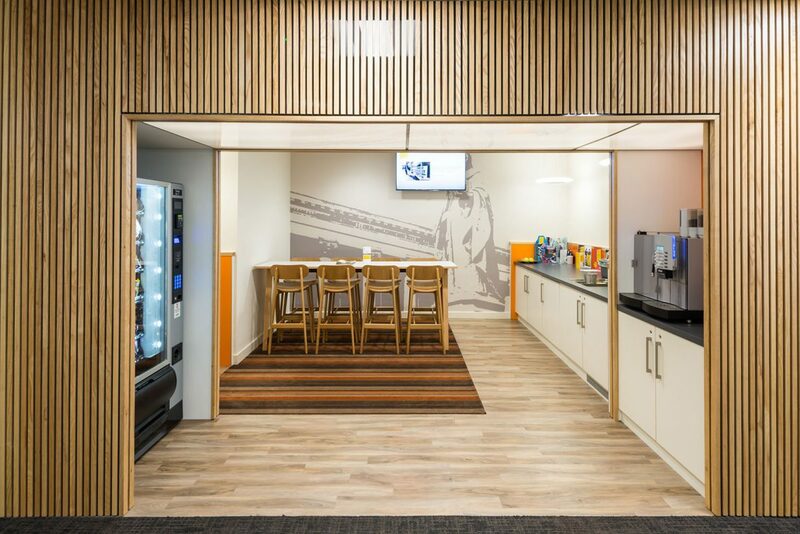 The works were completed in nine phases whilst keeping all existing staff working, and the only walls that we built were to create a new, smaller Comms Room, allowing surplus space to be reclaimed into the office area. 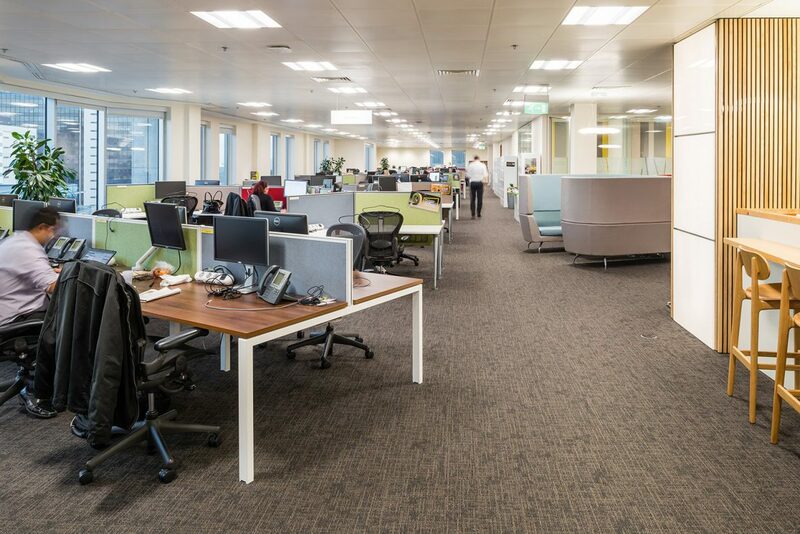 900 staff now work flexibly from 585 workstations, with a wide range of alternative work positions including individual quiet rooms, high level collaboration bays, semi private booths and a very popular library space. 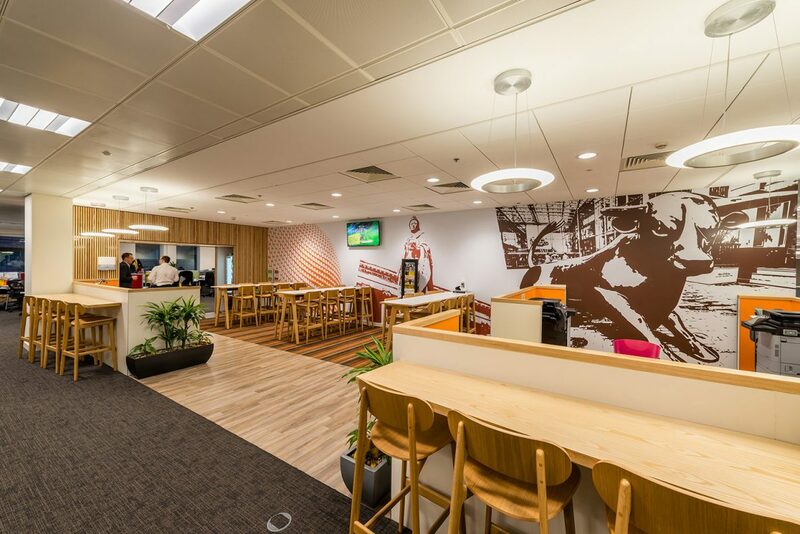 Tea points and print areas are joined together into service areas, acting as a focal point, with lots of places for people to sit for an impromptu conversation or eat their lunch. 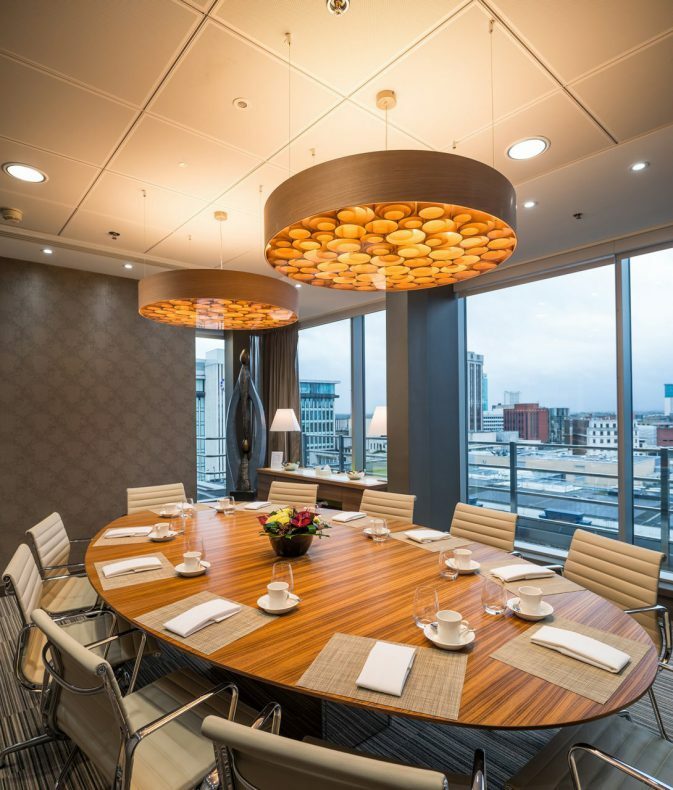 Local character and personality run through the whole scheme, clearly demonstrating that “We are proud of Birmingham”. 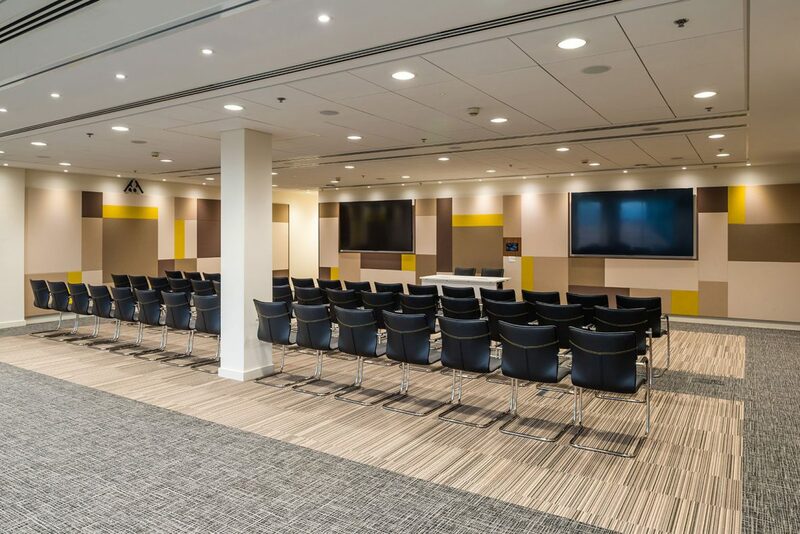 The existing client suite has also been rejuvenated, with a previously ineffective group of flexible meeting rooms opened out into a large seminar space, the back wall of which can be removed to open the space into the rest of the client suite – ideal for large functions.